Duke Nukem Forever may be going the way of Pogs and Crystal Pepsi, but Take-Two Entertainment is looking to salvage some of their investment in the game before it's too late. News posts from Gamasutra and Edge confirm that Take-Two Interactive, the parent company of development studios like 2K Games (BioShock) and the various Rockstar studios (Grand Theft Auto, Bully), is filing a lawsuit against Apogee Software, the actual corporate title for 3D Realms, for failing to deliver their promised Duke Nukem title. Wow. Looks like those rumors about the 3D Realms closure being an elaborate PR stunt are very, very false. 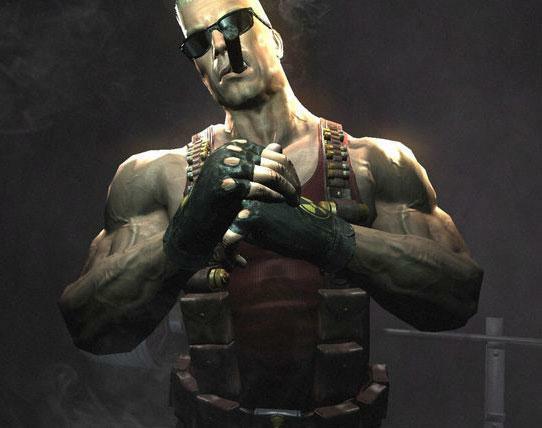 Despite 3D Realms having definitive proof that Duke Nukem Forever was in progress, the studios' unfortunate recent closure means that publisher Take-Two will lose all the capital that they invested into the project after accepting publisher rights. As noted on Shack News, Take-Two laid down US$12 million to the game's original publisher, Infogrames, for the rights to Duke Nukem Forever in 2000. Following the closure last week, Take-Two spokesman Alan Lewis confirmed that the publisher was not providing 3D Realms with "ongoing funds for development of the title." Take-Two Interactive's complaint with the New York State Supreme Court also claimed that Apogee continually delayed the completion date for the Duke Nukem Forever. Apogee repeatedly assured Take-Two and the video-gaming community that it was diligently working toward completing development of the PC Version of the Duke Nukem Forever. Now 3D Realms is out of money and dissolved as a development studio, this lawsuit is a clear case of pain upon punishment. It remains to be seen what Take-Two will do with the publishing rights they still own, but it looks like Duke Nukem Forever is officially vaporware.